GitLab CE image is secure, up-to-date, and pre-configured to work out of the box. GitLab CE is an open source, cloud-based Git repository and version control system. Its built-in CI/CD integrates with existing processes and helps teams deliver high-quality code. GitLab CE is an open source, cloud-based Git repository and version control system used by thousands of organizations worldwide. 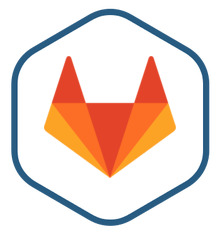 Written in Ruby, GitLab Community Edition includes a host of features that enable software development teams to consolidate source code, track and manage releases, increase code quality, deploy code changes, and track the evolution of software over time. Efficiently manage repositories with forking, conflict resolution for merges, quick commit-reverts, and groups consisting of multiple people sharing a namespace for projects. Fully functional CI/CD, with versioned build script, build pipelines, container registry for Docker images, and deployment to multiple environments. Deep integration with existing development tools and the ability to configure an external PostgreSQL database using the Omnibus package.